The new, regenerated skin is usually smoother and less wrinkled than the old skin. The new skin is also temporarily more sensitive to the sun. 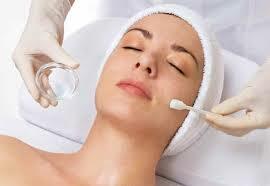 After a chemical peel, skin is temporarily more sensitive to the sun, so wear sunscreen every day. It should say "broad-spectrum" on the label, meaning it protects against the sun's UVA and UVB rays. Limit your time in the sun, especially between the hours of 10 a.m. and 2 p.m., and wear a wide-brimmed hat.